Valentine’s gifts for men. Gifted-Gifts for smart cookies! You know he loves Cookies! Here's our "Choc A Block"
Dunk it. Or Not? Either way he's gonna love it! 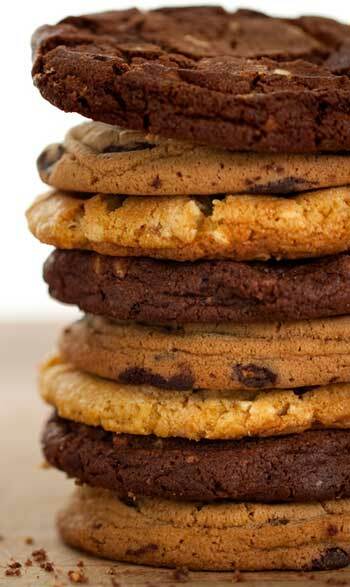 Extraordinary cookies: 8 very large & individually wrapped cookies. Designer gift boxes: 5 to choose from. So you can make the perfect choice. Awesome gift cards: That let you add your individual touch, with your own message inside. 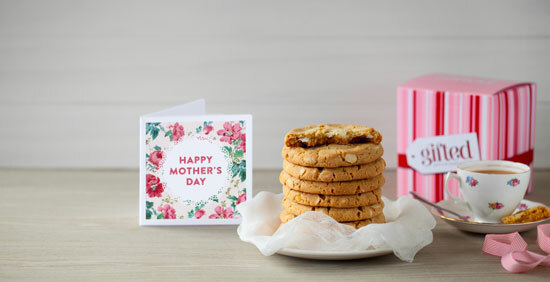 Cost $45: Includes - extraordinary cookies + gift box + gift card. It's the Gift for Smart Cookies! Truly fine cookies are gifts! Looking for something awesome to make your lover's heart melt this Valentine's Day? 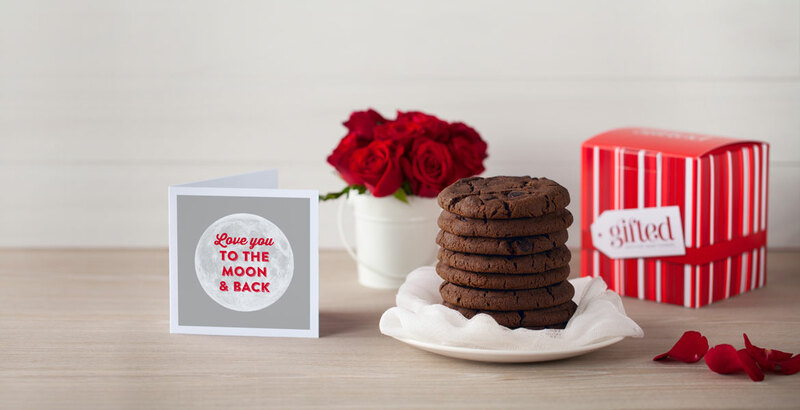 You won't find anything cooler than a box of Gifted Cookies, delivered straight to his door. Designer gift boxed, and including a choice of awesome gift cards, printed with your personal message.